This page provides an overview of M. Allen Cunningham's latest teaching work. ​For more specific information about Cunningham's background and aims as a teacher, visit his Teaching Profile. 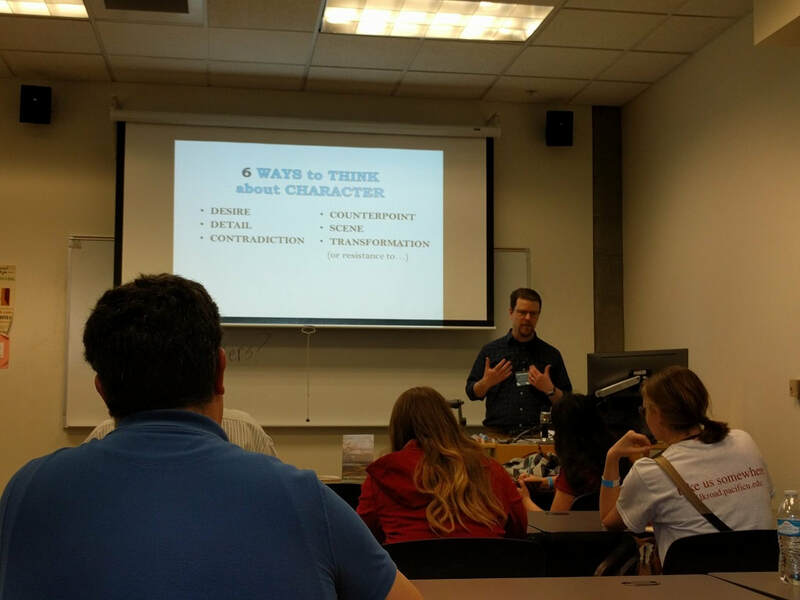 Author, editor, publisher, and frequent public speaker, M. Allen Cunningham is an Adjunct Assistant Professor of English at Portland State University. In his 15 years of teaching, he has led MFA-level creative writing workshops and seminars and lectured widely at several universities and countless public libraries, including a four-year run with the Oregon Humanities Conversation Project, in which he led intensive public seminars about reading and literature in more than 25 communities. In addition to his work at PSU, Cunningham facilitates the Atelier26 Creative Writing Workshops, designs and teaches new courses at Portland's honored nonprofit Literary Arts, and serves in the Pan-European MFA Progam as a guest lecturer and thesis reader. Time spent with Mark has been golden! Mondays, April 2 - 23, 2017, 7:00 - 9:00 p.m. These rigorous multi-week workshops follow an MFA framework and provide participants the opportunity to explore and refine their writing in the context of a small and committed group of writers, each selected through an application process. Workshops center around intensive critique of participant work and inspiring discussion of assigned texts. Learn more about eligibility, deadlines, etc. at Atelier26Books.com.